The AOPD for our Adult Specialization is located on the ground floor of the Klau Pavilion of the Moses Division Hospital. It serves a heterogeneous group of adult outpatients presenting with a variety of psychiatric disorders. Disorders treated in this clinic include the various mood and anxiety disorders, personality disorders, psychotic disorders and psychiatric disorders associated with HIV disease. Patients are seen in individual, group, couples or family therapy, and many receive psychopharmacologic treatment as well. Interns are responsible for all phases of outpatient psychiatric care, including structured diagnostic intake evaluations, treatment planning, and provision of psychotherapy – which includes “sharing care” with psychiatrists or psychiatry residents who are prescribing medications (when necessary). Interns in the AOPD rotation typically see patients for weekly appointments on a short-term basis but are also permitted to carry 2-3 AOPD patients when off-service, if they wish, for longer-term care. Interns receive comprehensive, one-on-one supervision from licensed psychologists with cognitive behavioral, dialectical behavioral, psychodynamic, and integrative perspectives. Interns may request supervisors with expertise in a specific theoretical orientation. Otherwise, interns are assigned to a variety of supervisors so that they may be exposed to a range of therapeutic approaches. Interns also co-lead therapy groups and are assigned to a multidisciplinary treatment team led by an attending psychiatrist, attending psychologist, social workers and psychiatric residents. During this rotation, interns participate in the Adult Dialectical Behavior Therapy (DBT) program. As part of this program, interns participate in a weekly DBT consultation team, and have the option to receive individual DBT supervision, serve as primary therapist for individual DBT cases, and co-lead a DBT skills group. The Adult Psychiatric Inpatient Unit is a locked 22-bed unit located on the second floor of the Klau Pavilion of the Moses Division Hospital. Klau-2 provides comprehensive diagnostic and short-term acute psychiatric treatment for male and female patients, age 18 and older. The service's overall approach is to perform a psychiatric and psychosocial evaluation, establish a working diagnosis, and provide immediate pharmacological, psychological and milieu treatment, with the aim of returning the patient to the family and community as rapidly as possible. All patients receive multi-modal treatment, including psychopharmacology and individual, group, and family therapy. In many cases, patients have concomitant medical problems and some may present with neuropsychiatric diagnoses. Treatment is provided by two, multi-disciplinary teams, comprised of an attending psychiatrist, attending psychologist, social worker, activities therapist, psychiatric residents (and occasionally medical students), psychology interns, social work interns, and nursing staff. Interns function as the primary therapist on the treatment team and coordinate with the attending psychiatrist to complete the initial diagnostic evaluation. Interns provide daily, individual psychotherapy and work in close collaboration with the treatment team to monitor each patient’s response to treatment and formulate disposition plans. Interns also participate in the unit's Group Therapy Program, as group leaders and peer supervisors. Interpersonal Group Therapy takes place twice weekly and is co-led by trainees from Psychiatry, Psychology and Social Work. Group co-leaders and observers meet post-group to process the group therapy sessions and meet weekly for group therapy supervision. Supervision for both individual and group psychotherapy is provided by the attending psychologist, Dr. Sharon Spitzer. Additionally, interns have the opportunity to perform brief psychological and neuropsychological assessments. 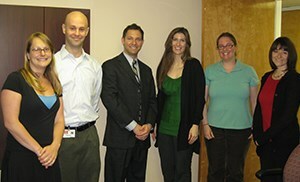 Psychological testing is supervised by Dr. Bryan Freilich, a board-certified neuropsychologist. The POS is a five-bed crisis intervention service within the general Emergency Department of the Moses Division Hospital. It constantly ranks not only as the busiest of all the city's hospitals, but was also recently ranked as the second-busiest emergency department in the nation! Patients are seen either in the POS or as a psychiatry consult in the medical or pediatric ER. Patients, most of who are in an acute state of decompensation and/or distress, are seen for immediate evaluation, crisis intervention, and disposition. As the typical length of stay is very brief, interns learn to quickly diagnose patients, make triage and referral decisions, perform suicide and violence potential assessments, and do crisis interventions. Patients are assigned to interns by the medical director, Dr. Paul Jayson and are supervised closely by him. 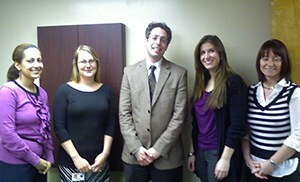 Interns also work closely with psychiatrists, nurses and social workers and attend daily rounds and meetings. The Addiction Psychiatry Consultation Service in Psychosomatic Medicine provides consultation liaison services to medically complex patients with a range of physical, mental, social and health problems admitted to the general hospital with substance use related-co-morbidity. During this rotation, interns learn how to screen for addiction problems, differential diagnosis (e.g., delirium versus toxicity), withdrawal management, use of appropriate psychotropic medications, pain management in the addicted patient, and how to formulate and implement an appropriate treatment plan for patients with co-occurring medical and substance use problems. Specific evidence-based interventions that are modeled and taught include Motivational Interviewing, Harm Reduction and Relapse Prevention. A busy and visible teaching service, interns are part of a team that includes Psychiatry Residents, Addiction and Psychosomatic Fellows, and first year medical students and psychology externs, and interact with a range of other disciplines and treatment teams throughout the hospital. The service averages 80-100 patients per month, and interns typically conduct 10-15 written consultation reports and 2-3 follow-up visits with each patient during the hospital stay. Supervision of interns in their clinical evaluation of patients and their consultative role to other providers is provided by a licensed clinical psychologist, Dr. Alexis Briggie. The Child Outpatient Psychiatry Department is located in its own building just minutes from the entrance to the Moses Division Hospital. It serves a heterogeneous group of children and adolescent patients (ages 4-17) with diagnoses ranging from disruptive behavior disorders, anxiety and depressive disorders, psychotic disorders, adjustment disorders, and learning disabilities. Interns in the COPD will serve as primary therapists for individual and family cases (patients will be assigned across all ages and diagnoses), co-therapists for group therapy, and will conduct evaluations of children and adolescents. During this yearlong rotation, interns receive intensive training and supervision in family therapy, cognitive behavior therapy, psychodynamic therapy, and group therapy. Interns participate in multidisciplinary team meetings and also learn how to liaison with schools, foster care agencies, the Committee on Special Education and other relevant organizations. The Anxiety and Mood Program (AMP) at Montefiore Medical Center’s Child Outpatient Psychiatry Department is a specialty program that offers evidence based interventions for children and adolescents with primary and comorbid anxiety, mood, and related disorders. AMP serves children and adolescent, ages 4 to 18 years old, and families from the surrounding Bronx communities. Interns will learn to conduct comprehensive intake assessments (e.g., ADIS) and will serve as primary therapists for youth experiencing anxiety (e.g., social anxiety disorder, generalized anxiety, separation anxiety disorder, panic disorder, phobias, OCD, PTSD), depression, tics, trichotillomania, and related concerns. During this rotation, interns will provide individual and family-based cognitive behavioral treatments (e.g., Coping Cat, Exposure/Response Prevention, Trauma-Focused CBT, Comprehensive Behavioral Intervention for Tics, Parent Management Training), and can elect to serve as co-leaders in Cognitive Behavioral Group Therapy for socially anxious adolescents, Behavior Regulation Movement Groups, or Skills Group for Adolescents with Eating Disorders. Interns will participate in multidisciplinary team rounds, and collaborate with teachers, school personnel, pediatricians, or other providers who may be involved in the child or teen’s care. Interns also have the opportunity to participate in scholarly activities, including authoring articles, presenting at conferences, conducting research and leading workshops and in community service events for local groups. The Adolescent Depression and Suicide Program is a specialty outpatient program within the Anxiety and Mood Program that serves depressed and suicidal teens (ages 12-19) and their families. Many of these adolescents have experienced significant abuse and have comorbid anxiety, substance-related, personality and disruptive behavior disorders. During this rotation, interns learn to conduct comprehensive diagnostic interviews and Dialectical Behavior Therapy. Interns serve as primary therapists for individual and family cases and co-therapists for DBT multi-family skills training and graduate groups. Interns also learn crisis intervention skills. Interns will receive individual supervision and participate in DBT consultation team. The Child and Adolescent Assessment Service within the COPD helps interns develop proficiency in child/adolescent psychological, diagnostic, and neuropsychological testing. At a minimum, interns administer five comprehensive psychological evaluations during the year, with more available for those interested in developing special expertise. Referral questions typically include assessing for the presence and type of learning disabilities, assessing for the presence of a wide range of diagnoses and the potential need for medication, differential diagnosis, and evaluating the presence of neuropsychological deficits. Supervision highlights the impact of cultural differences and bilingualism, and employs a developmental framework. Exposure to more traditional instruments, as well as newer, empirically-driven and computerized instruments, is offered. The ADSP is a specialty outpatient program within the COPD that serves depressed and suicidal teens (ages 12-19) and their families. Many of these adolescents have experienced significant abuse and have comorbid anxiety, substance-related, personality and disruptive behavior disorders. During this rotation, interns learn to conduct semi-structured diagnostic interviews (e.g., K-SADS) and to intervene intensively as primary therapists for individual and family cases, co-therapists for group therapy, and multi-family skills training, using dialectical behavior, cognitive behavior, brief psychodynamic and family systems therapies, as well as crisis intervention. Various group therapies are also employed, including parent training and the CBT Coping with Depression course. Some patients receive concomitant psycho-pharmacological treatment. Interns also have the opportunity to participate in academic activities, including authoring articles, presenting at conferences, conducting research and leading workshops at local schools regarding adolescent suicide. The Child and Adolescent Assessment Service within the COPD helps interns develop proficiency in child/adolescent psychological and neuropsychological testing. At a minimum, interns administer five comprehensive psychological evaluations during the year, with more available for those interested in developing special expertise. Referral questions typically include assessing for the presence and type of learning disabilities, assessing for the presence of a wide range of diagnoses and the potential need for medication, differential diagnosis, and evaluating the presence of neuropsychological deficits. Supervision highlights the impact of cultural differences and bilingualism, and employs a developmental framework. Exposure to more traditional instruments, as well as newer, empirically-driven and computerized instruments, is offered. Training in the cross-battery approach to defining learning disabilities is integrated with more conventional theories. The AOPD for our Combined Specialization is located in its own building, just minutes from the entrance to the Wakefield Division Hospital. It serves a heterogeneous group of adult outpatients presenting with a variety of psychiatric disorders. Disorders treated in this clinic include the various mood and anxiety disorders, personality disorders, and psychotic disorders. Patients are seen in individual and/or group therapy, and many receive psychopharmacologic treatment and have comorbid substance abuse issues. Interns are responsible for all phases of outpatient psychiatric care, including structured diagnostic intake evaluations, treatment planning, and provision of psychotherapy – which includes “sharing care” with psychiatrists who are prescribing medications (when necessary). Interns in the AOPD rotation will typically see adult outpatients for weekly appointments, co-lead a group (e.g., CBT for stress and anxiety management, anger management, coping with chronic illness, etc. ), and perform psychological testing on patients in the AOPD (as needed), as well as patients on the adult inpatient unit (as requested). Interns in the Combined Track will treat patients in the AOPD for the entire year, while simultaneously seeing patients in the Child Outpatient Psychiatry Department (see below). Interns also co-lead therapy groups, attend a weekly staff meeting (which often includes either an educational component or case conference), and are assigned to a multidisciplinary treatment team led by an attending psychiatrist, attending psychologist, and social workers. The COPD for our Combined Specialization is currently located in Wakefield Division Hospital but will soon be relocated to the same building as the AOPD for our Combined Specialization (just minutes from the entrance to the Hospital). The Child Outpatient Psychiatry Department treats a heterogeneous group of children and adolescents (ages 4-17) with diagnoses ranging from disruptive behavior disorders (e.g., ADHD, ODD, CD), anxiety, adjustment, and mood disorders, complex trauma, personality disorders, and psychotic disorders to learning disabilities. Interns in the COPD will serve as primary therapist for individual and family cases (patients will be assigned across all ages and diagnoses), a co-therapist for group therapy (e.g., Mentalization-Based Parenting Group, adjunct therapy group, etc. ), an intake evaluator of children and adolescents, and performing psychological testing on patients in the COPD (as needed). Interns in the Combined Track will treat patients in the COPD for the entire year, while simultaneously seeing patients in the Adult Outpatient Psychiatry Department (see above). Interns will receive comprehensive training and supervision from licensed psychologists with expertise in psychodynamic psychotherapy, family therapy, cognitive behavior therapy, dialectical behavior therapy, play therapy, group therapy, and parent guidance. Interns may request supervisors with expertise in a specific theoretical orientation. Otherwise, interns will be assigned to a variety of supervisors so that they may be exposed to a range of therapeutic approaches. Interns also learn how to liaison with schools (e.g., review IEPs to make sure the patient has appropriate academic accommodations at school), foster care agencies, the Committee on Special Education and other relevant organizations, and are assigned to a multidisciplinary treatment team led by an attending psychiatrist, attending psychologist, social workers, creative arts therapists, and a psychiatric nurse practitioner.